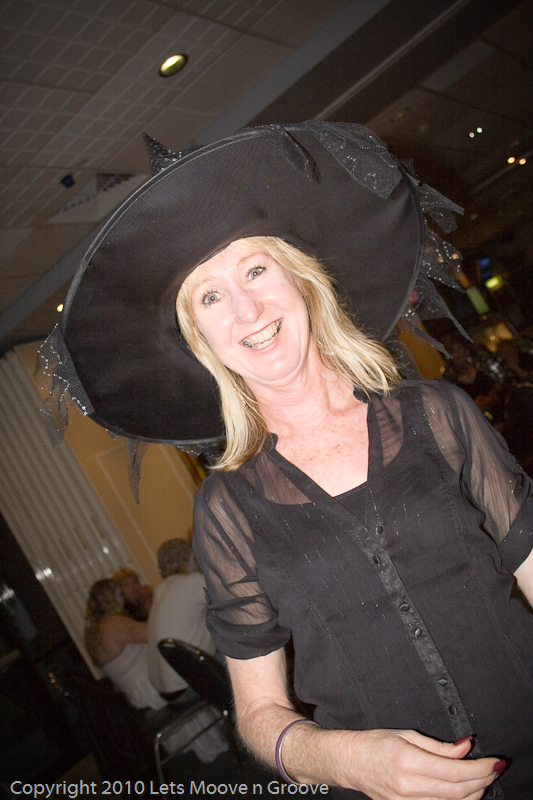 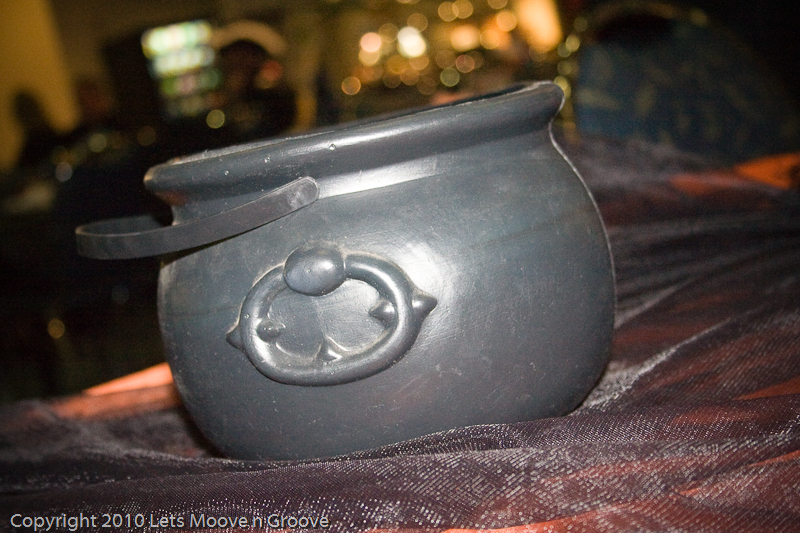 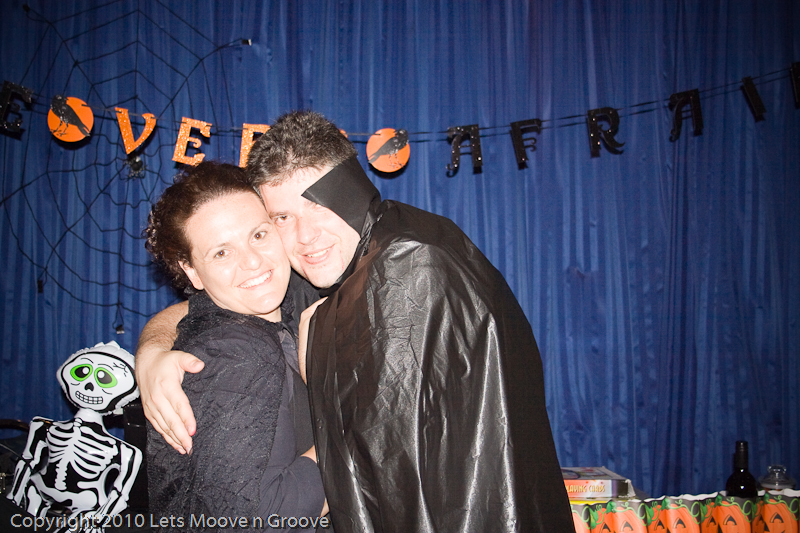 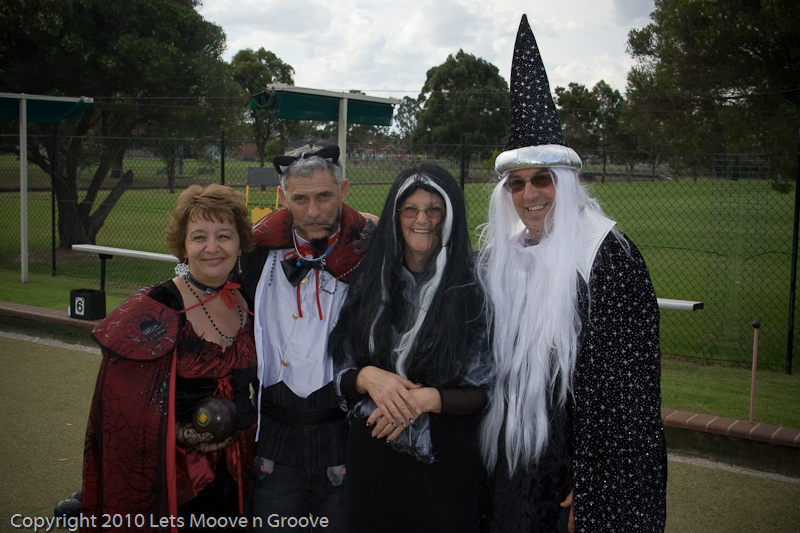 On Sunday, 31st October 2010 we celebrated Halloween. 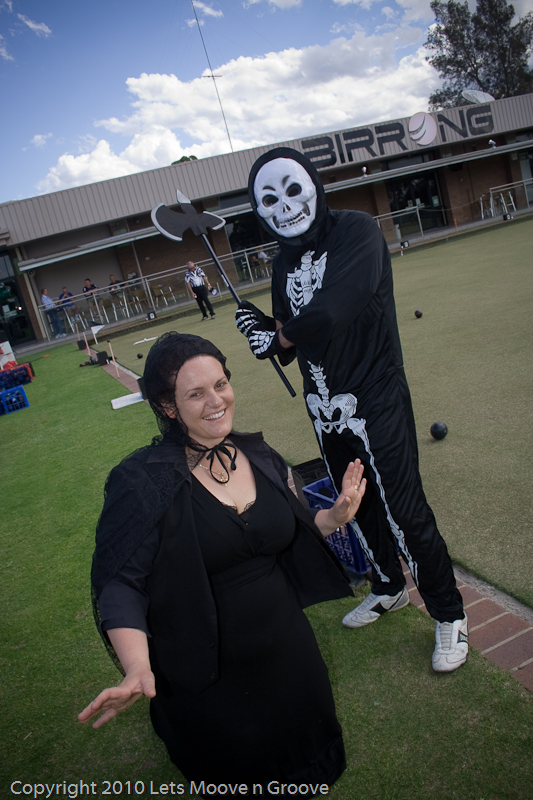 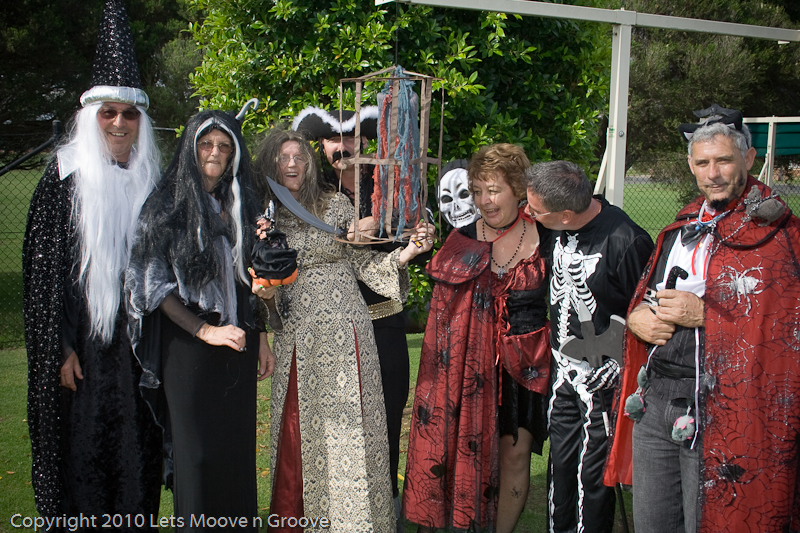 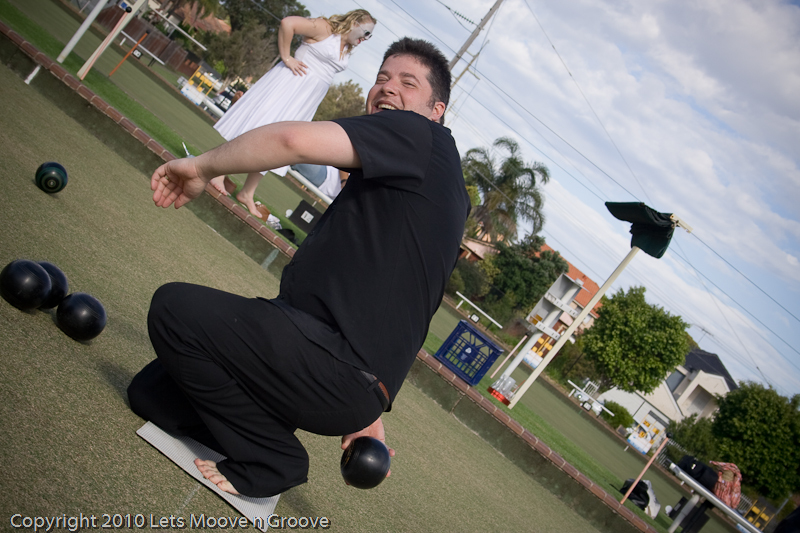 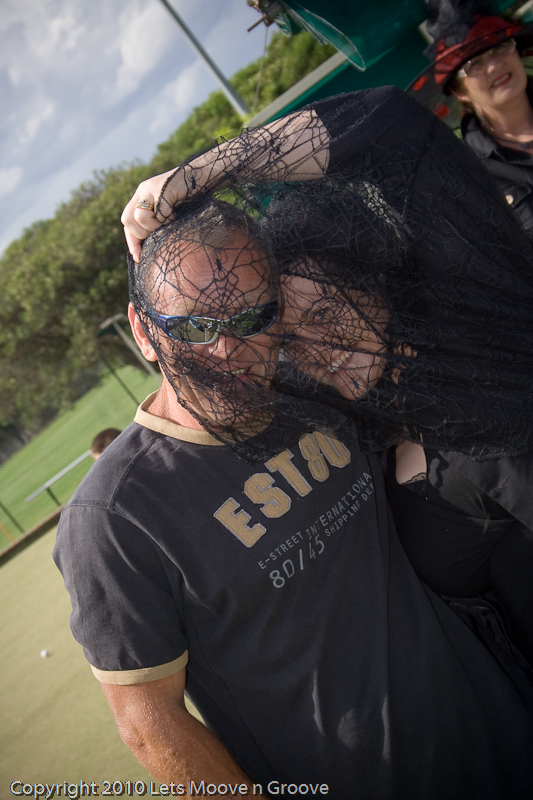 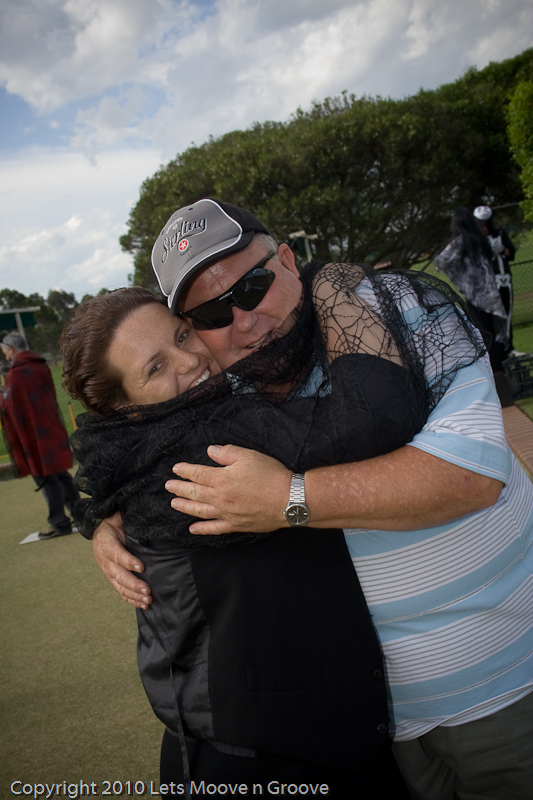 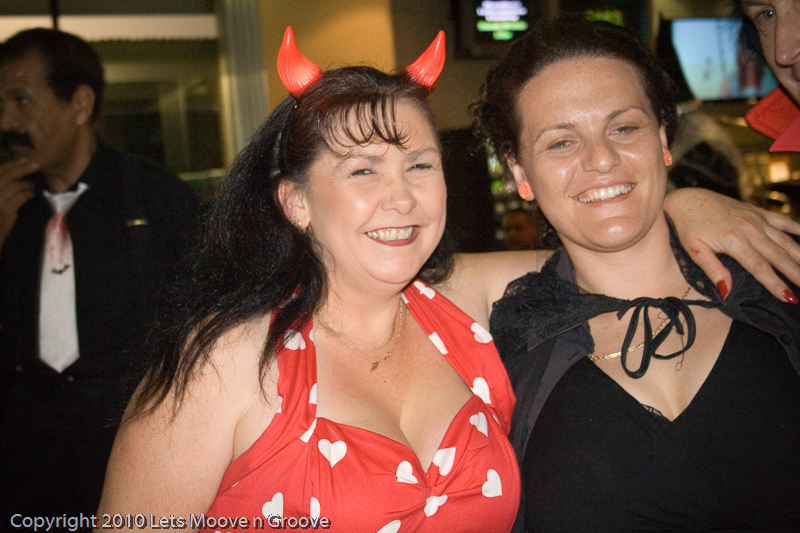 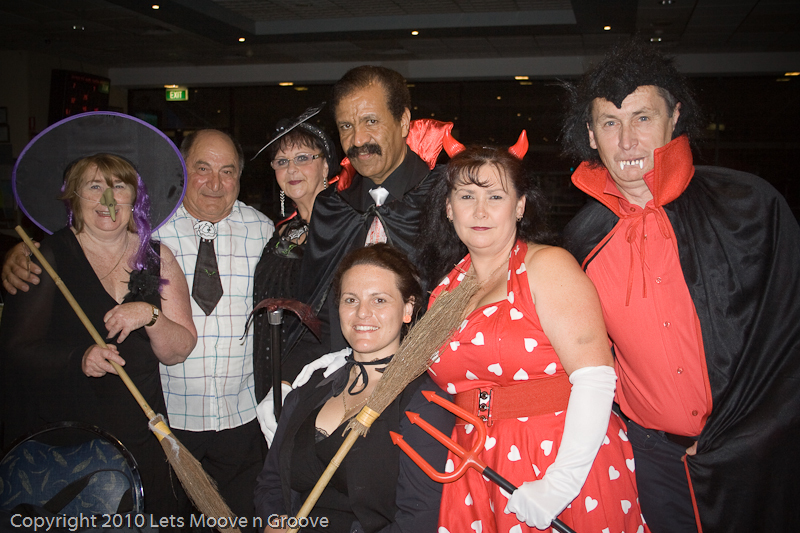 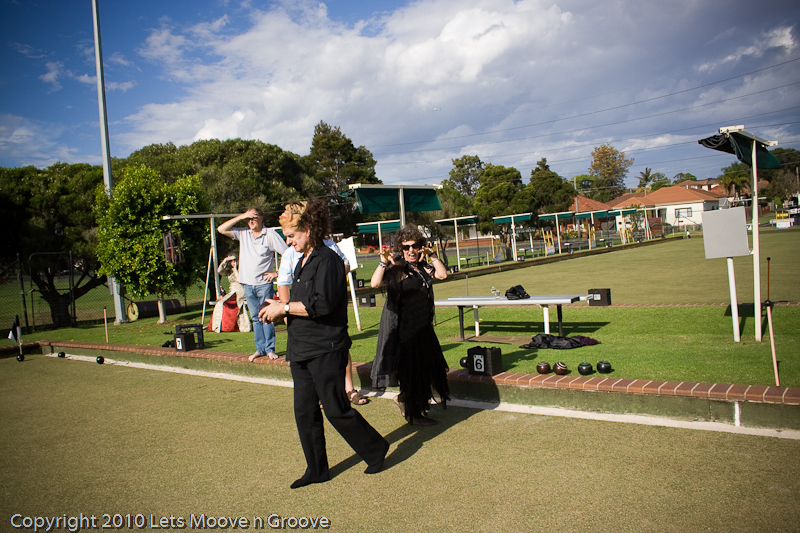 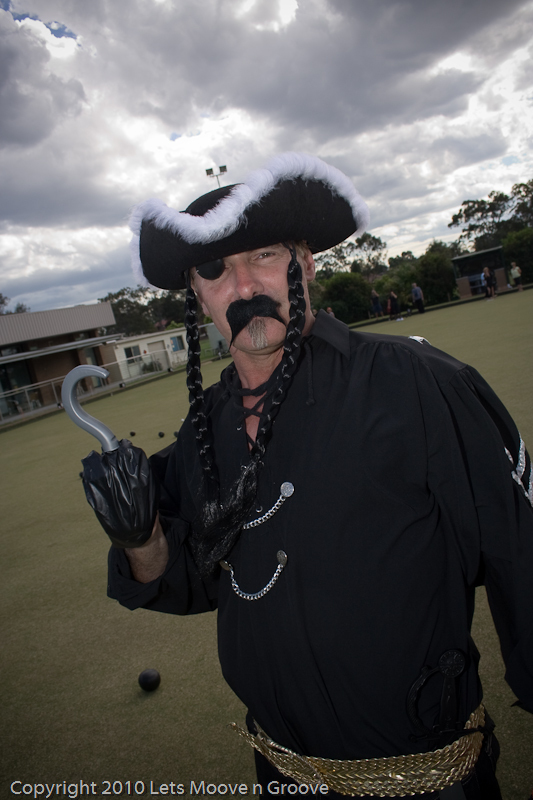 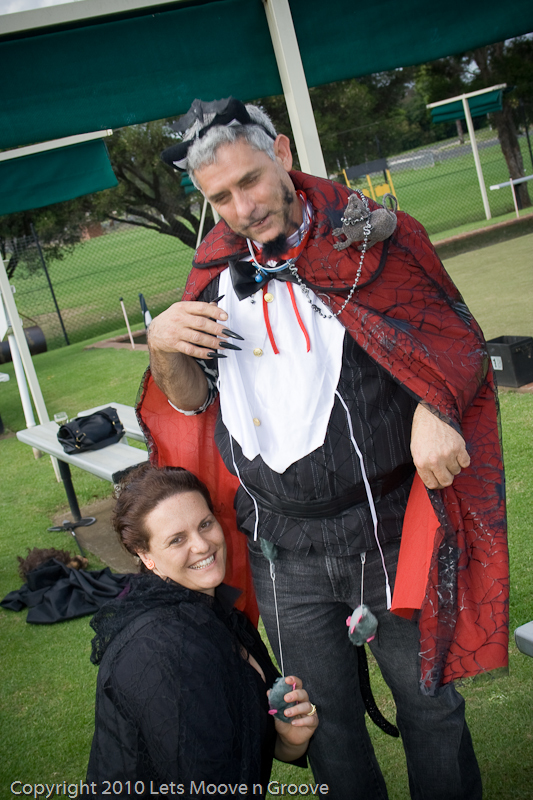 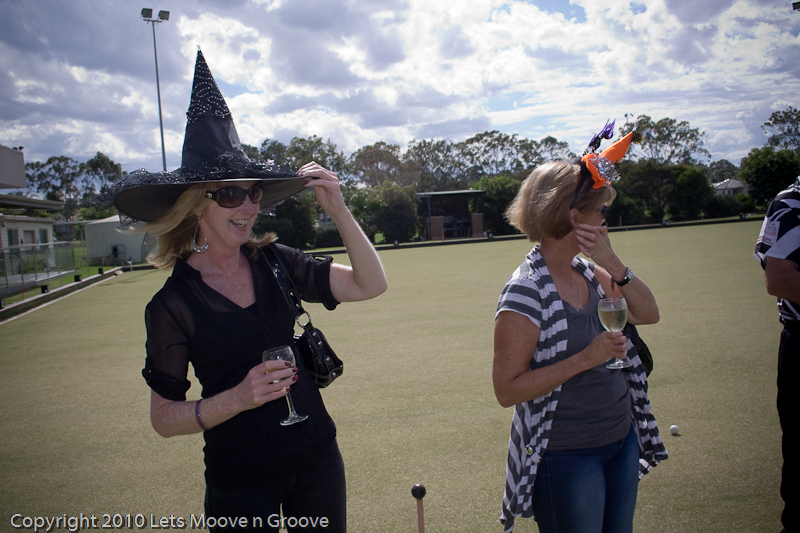 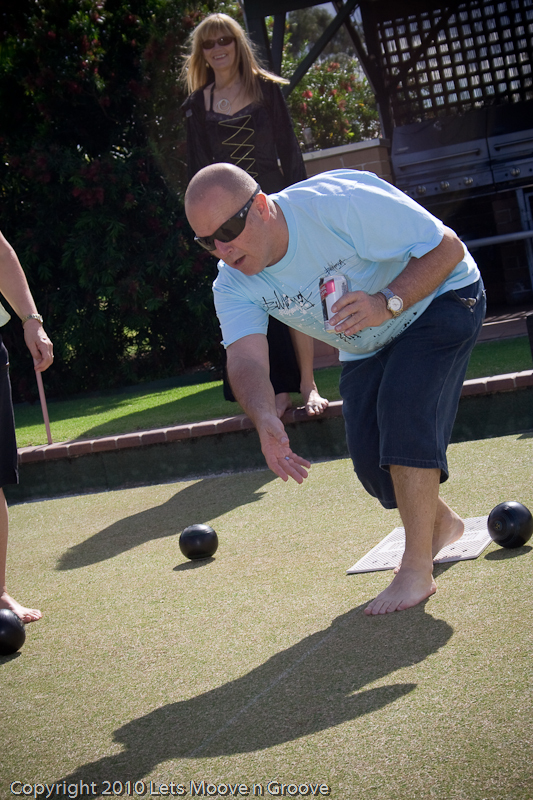 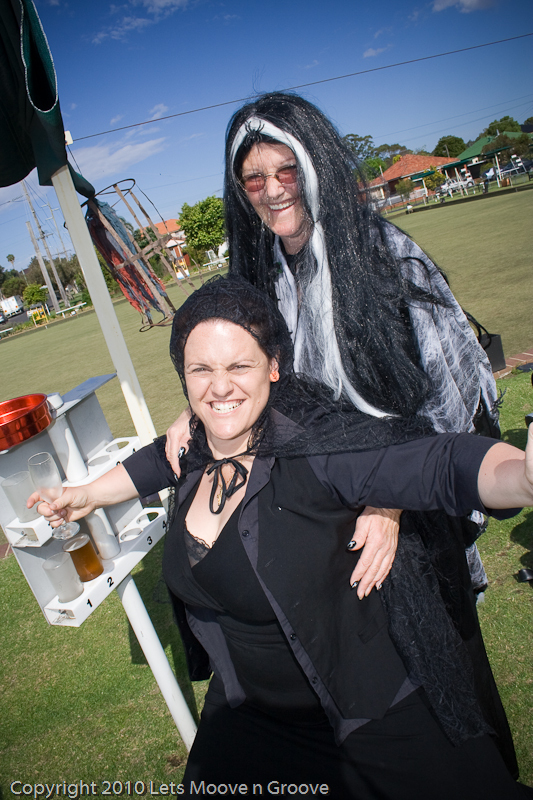 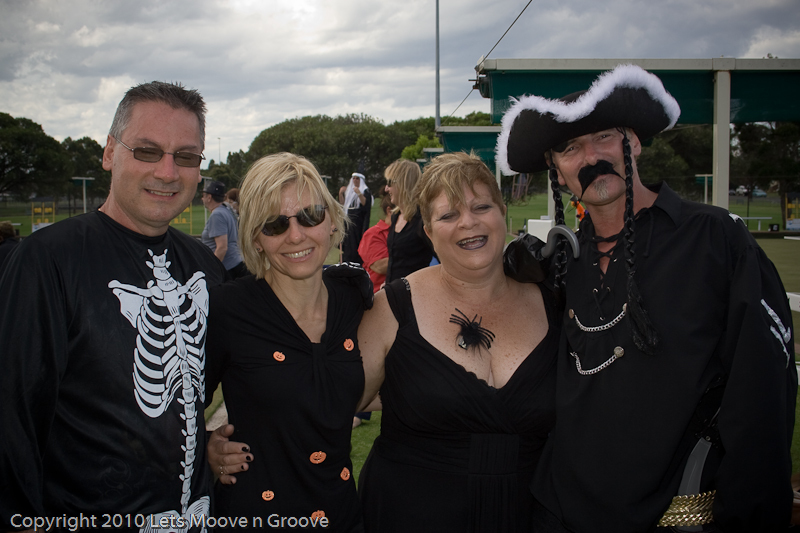 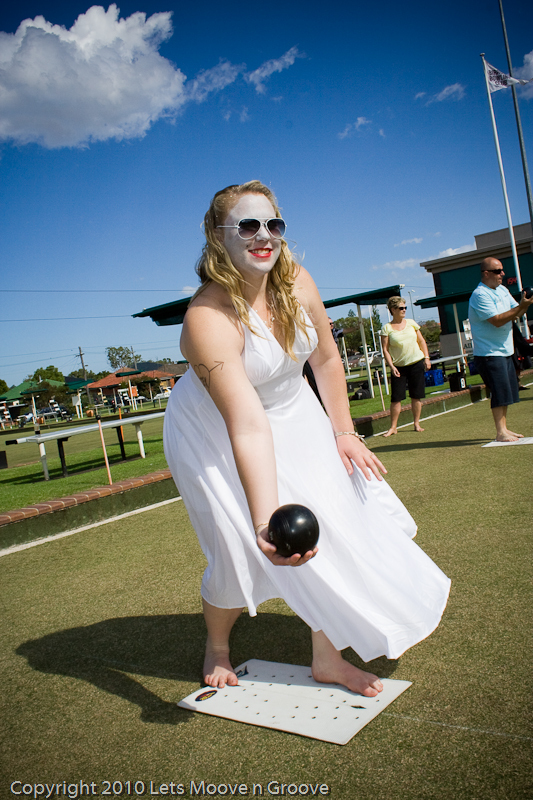 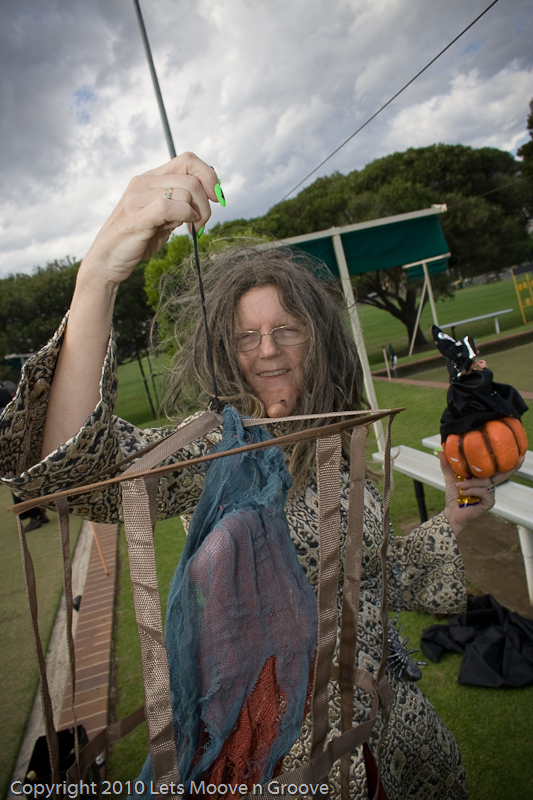 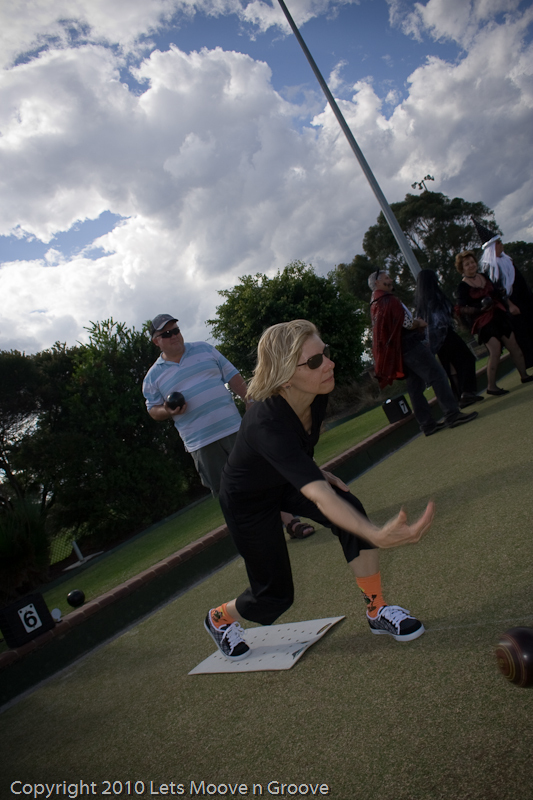 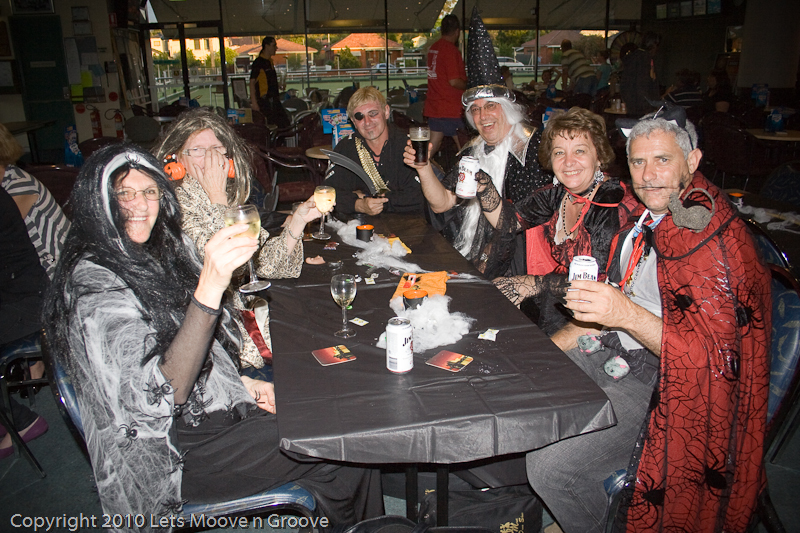 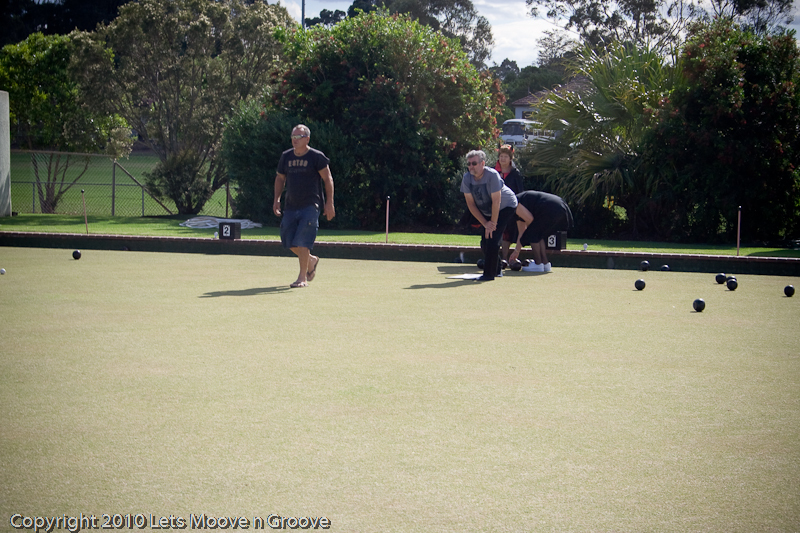 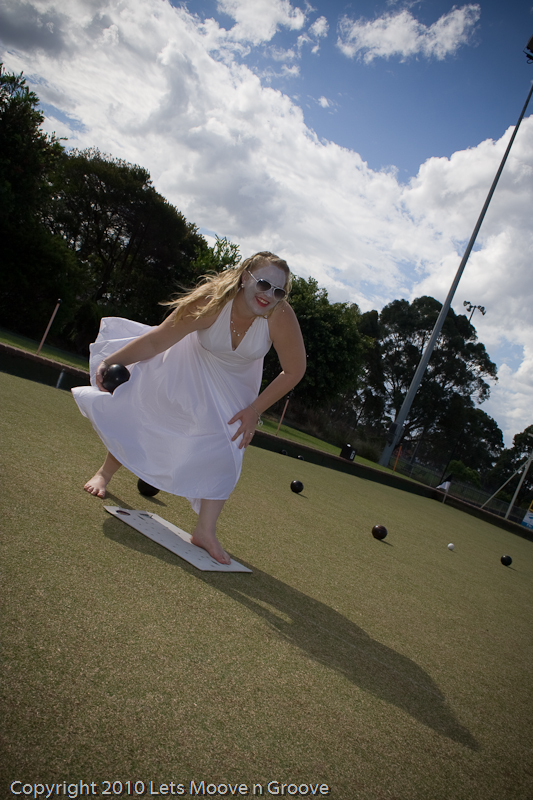 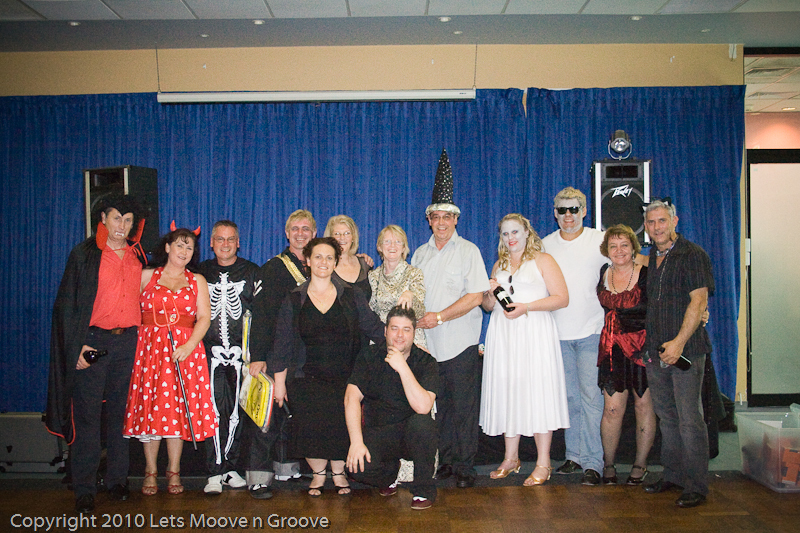 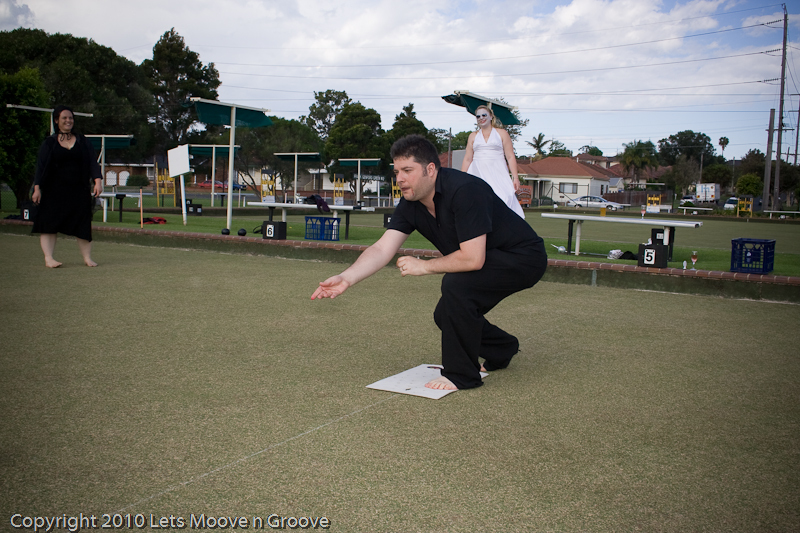 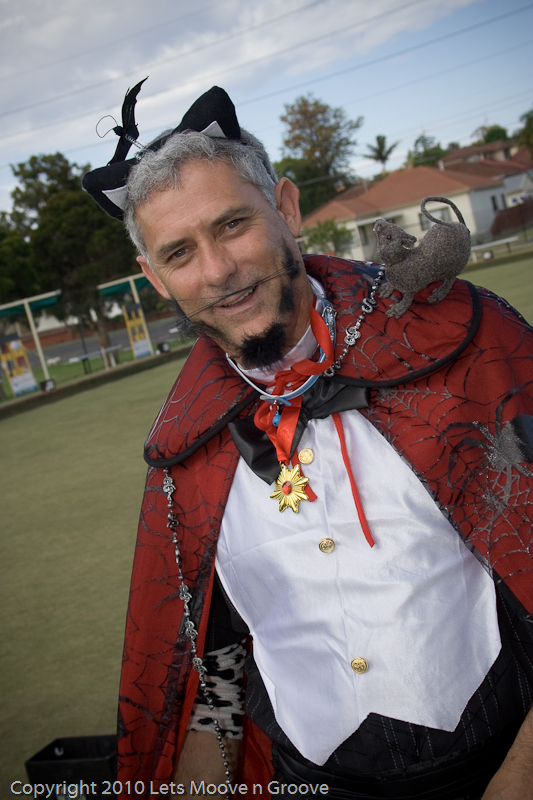 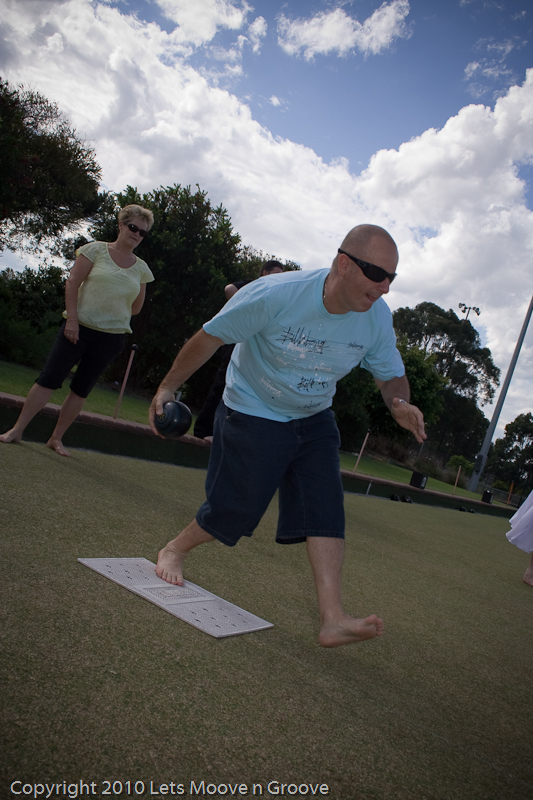 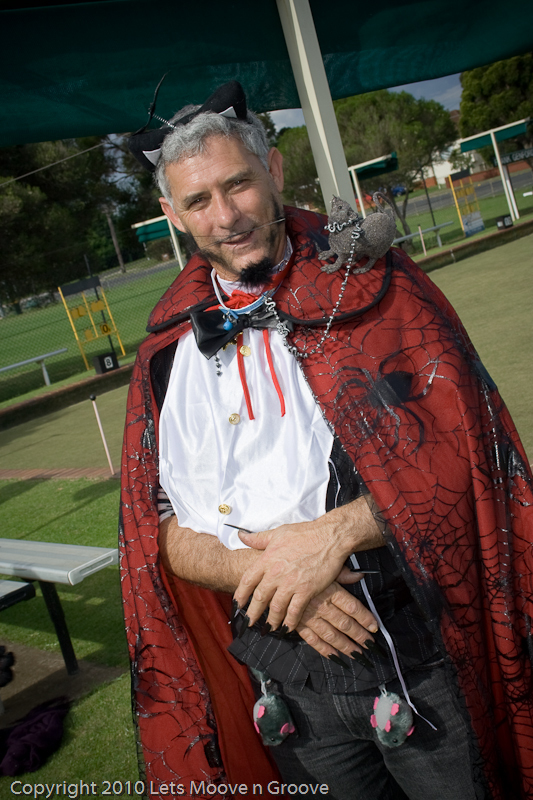 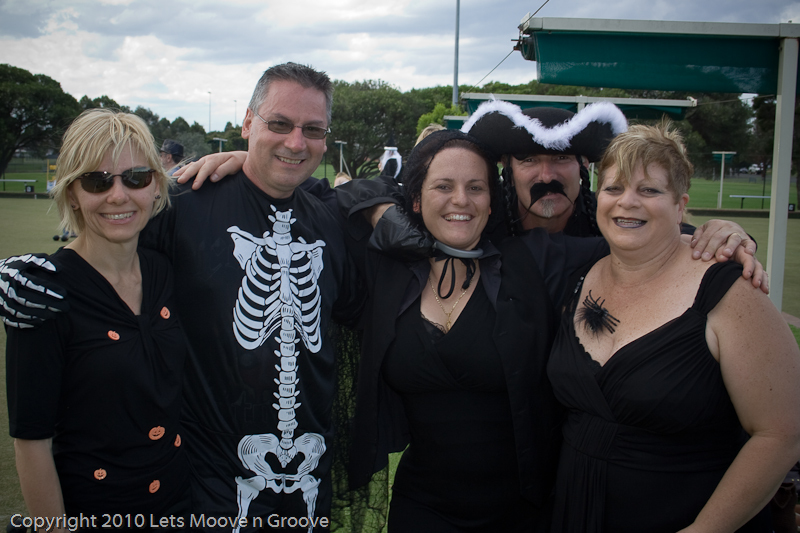 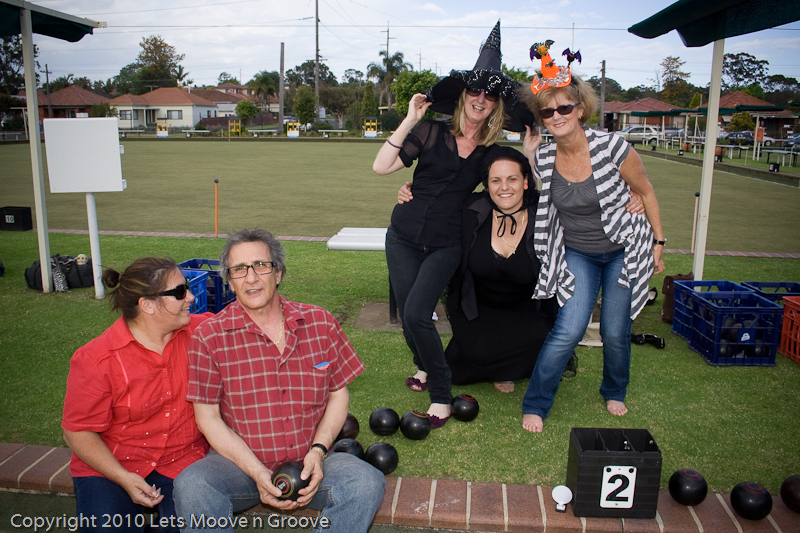 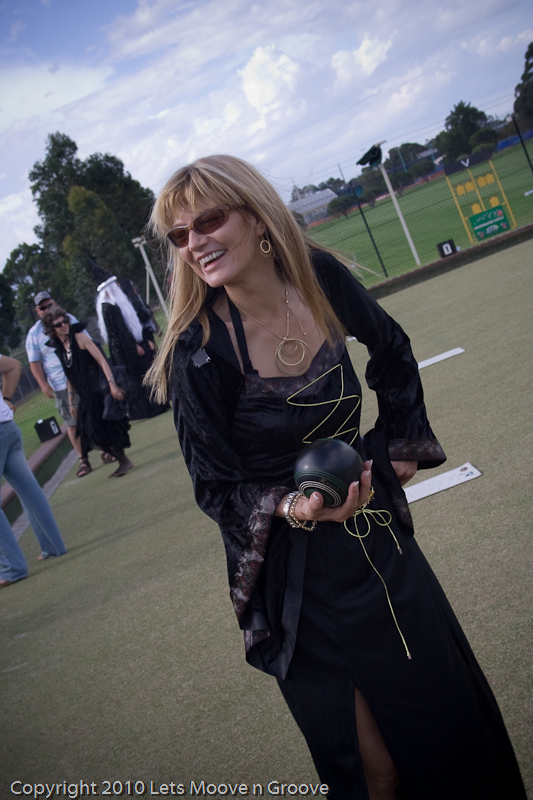 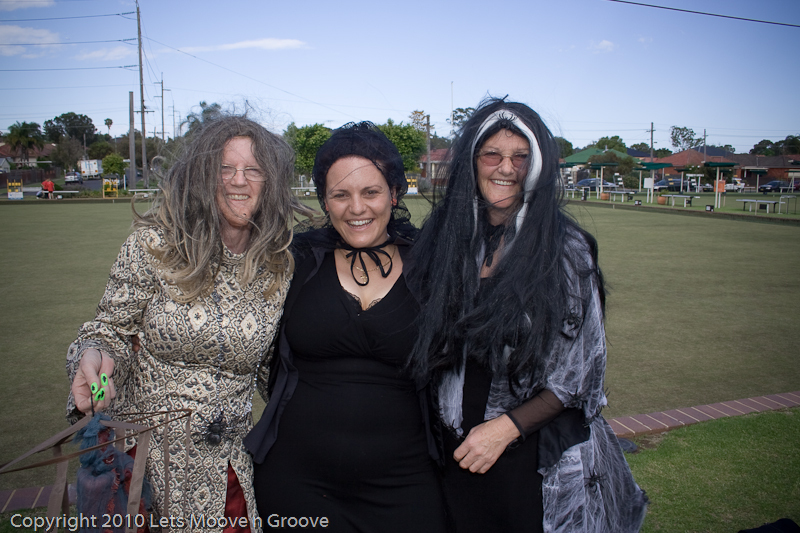 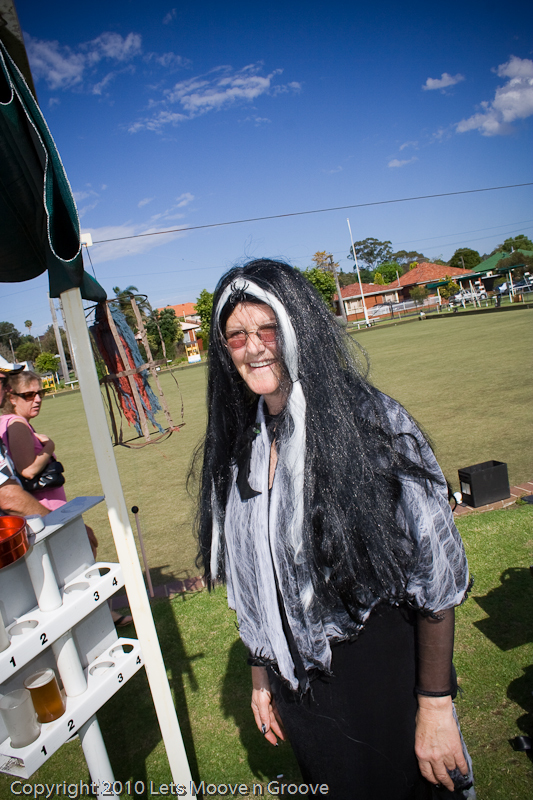 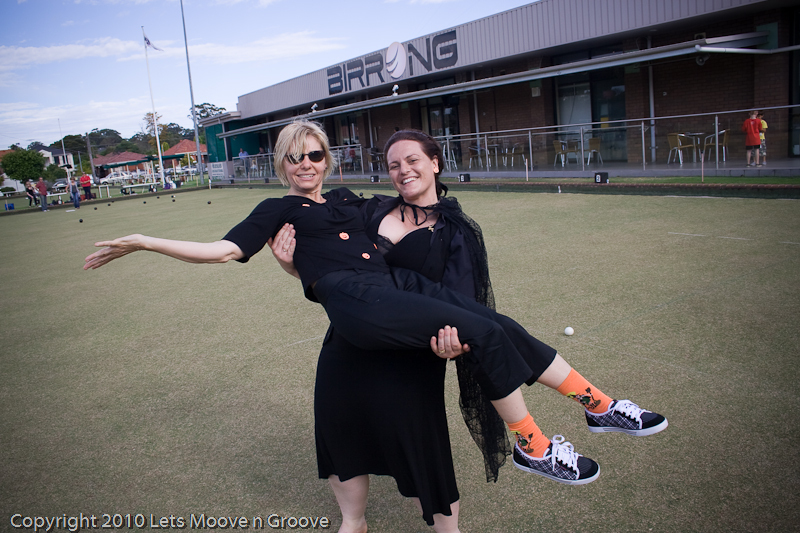 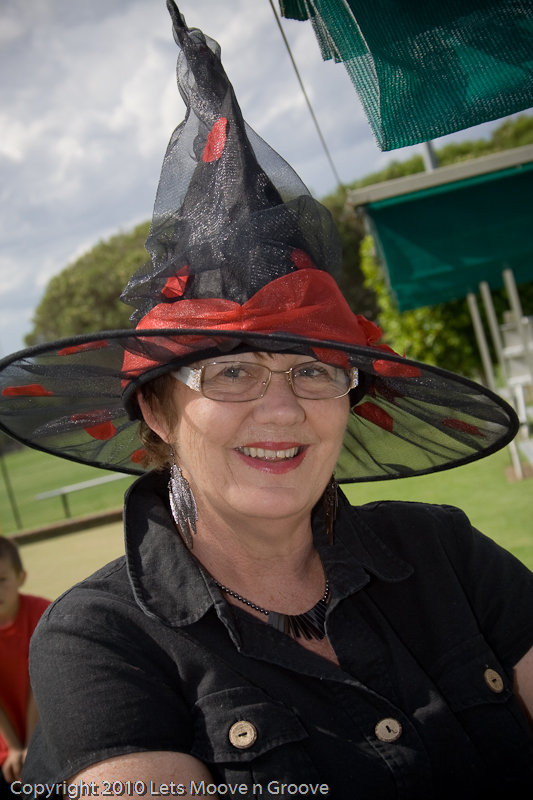 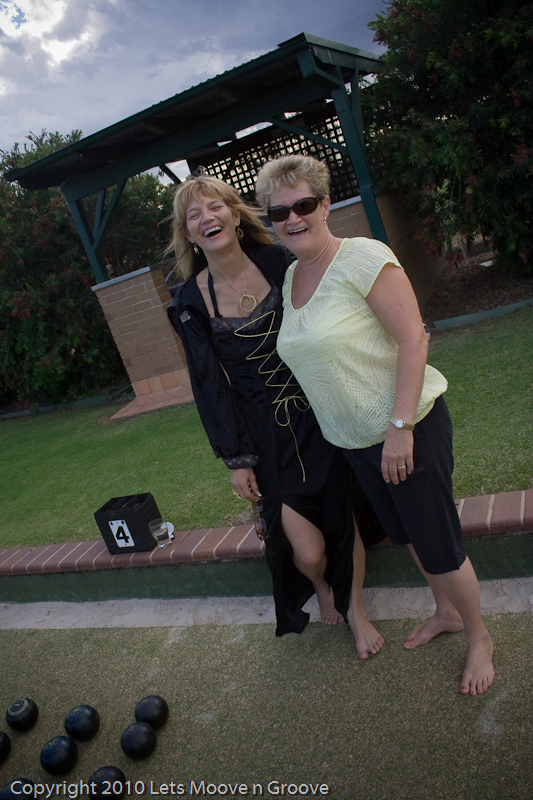 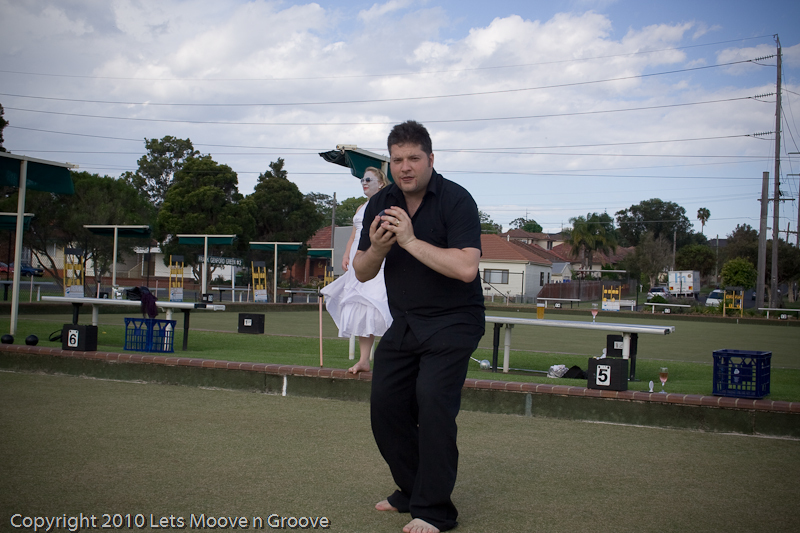 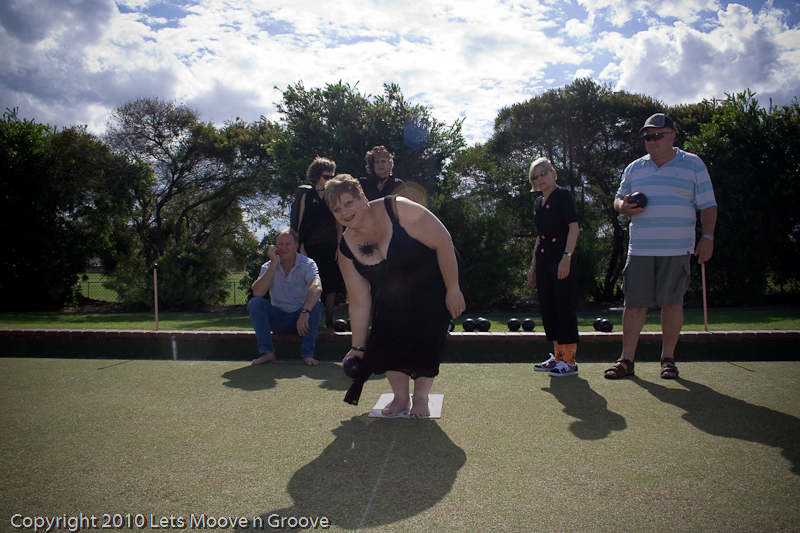 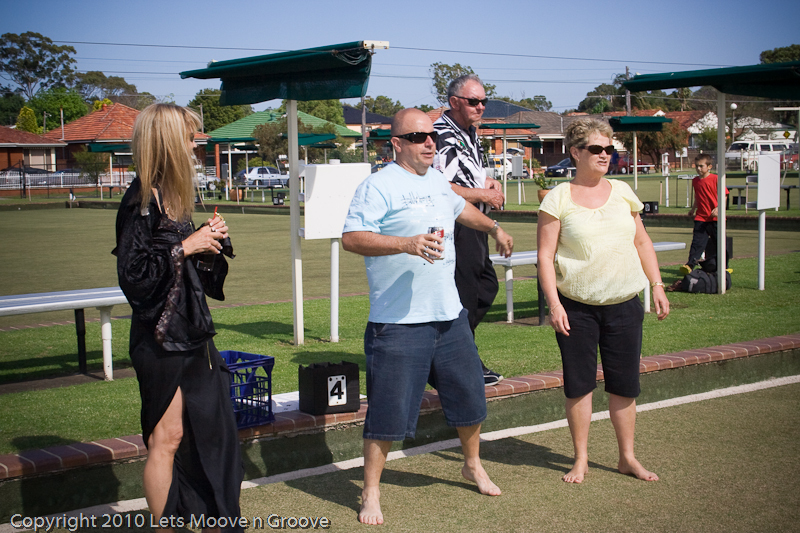 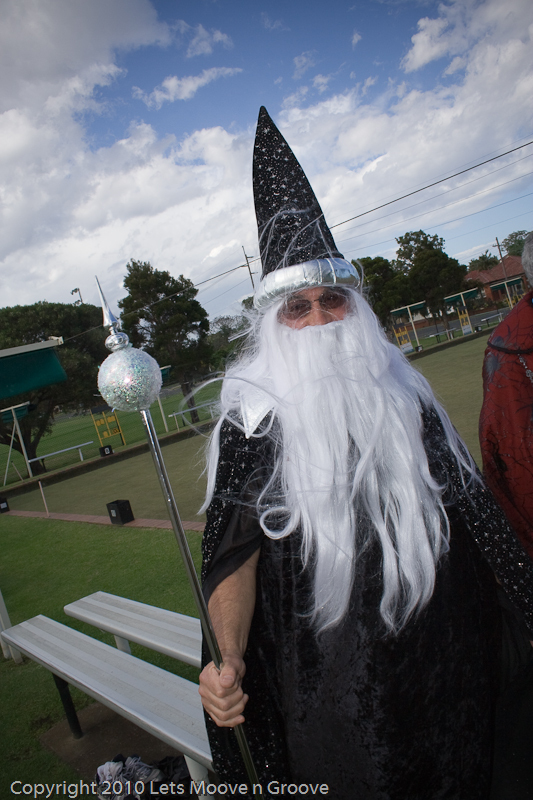 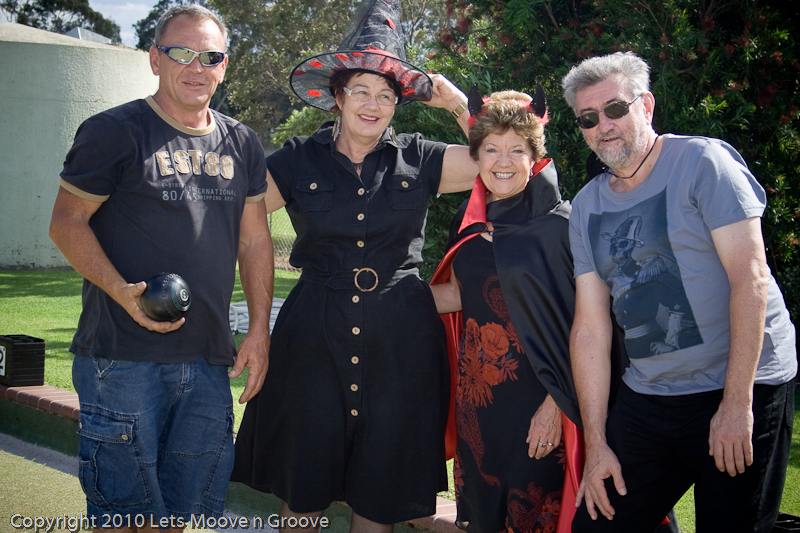 Our 1st Annual Barefoot Rock n Lawn Bowls Social and Dance was a success with many participating in this years theme of “scary dress”. 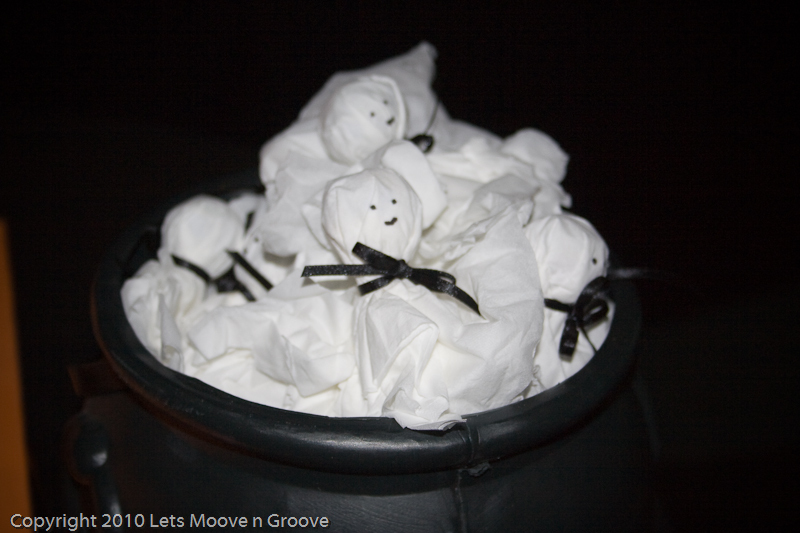 We surely did have a few that looked scary and were unrecognisable! 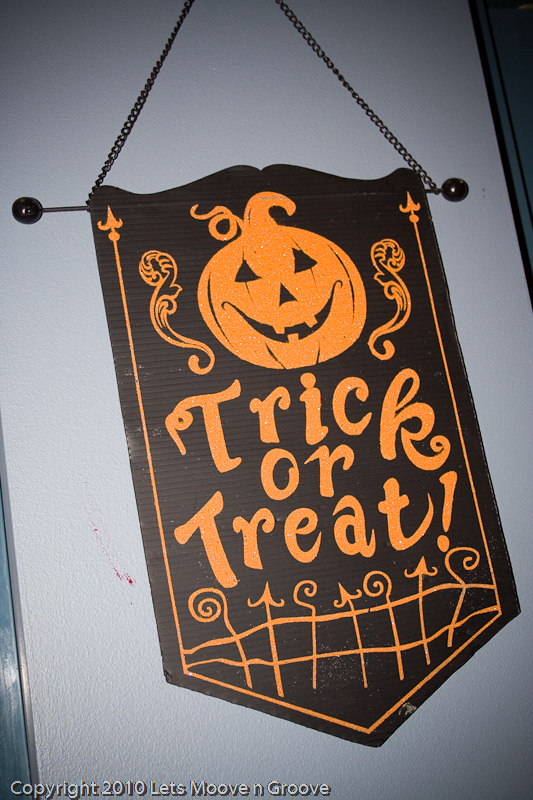 Way to go everyone for your attendance and effort! 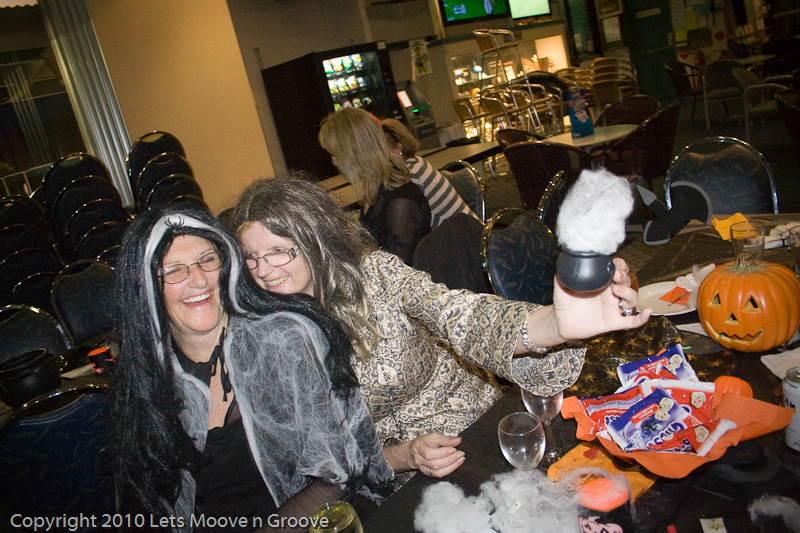 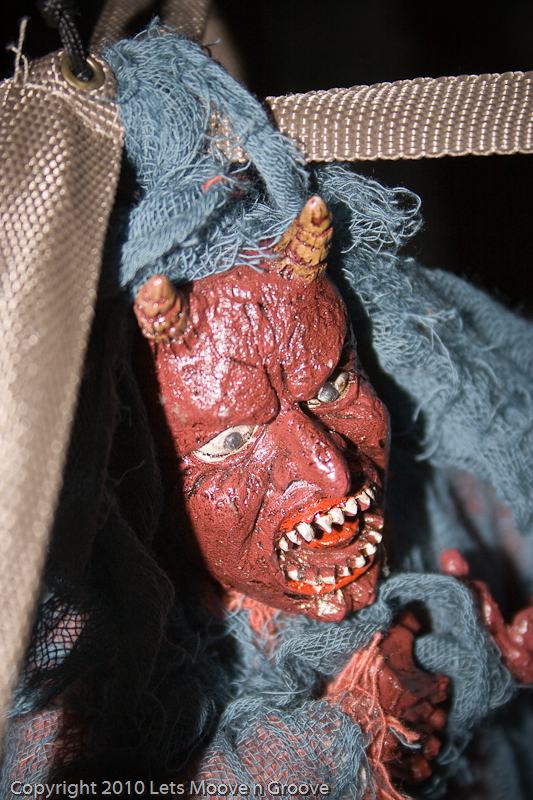 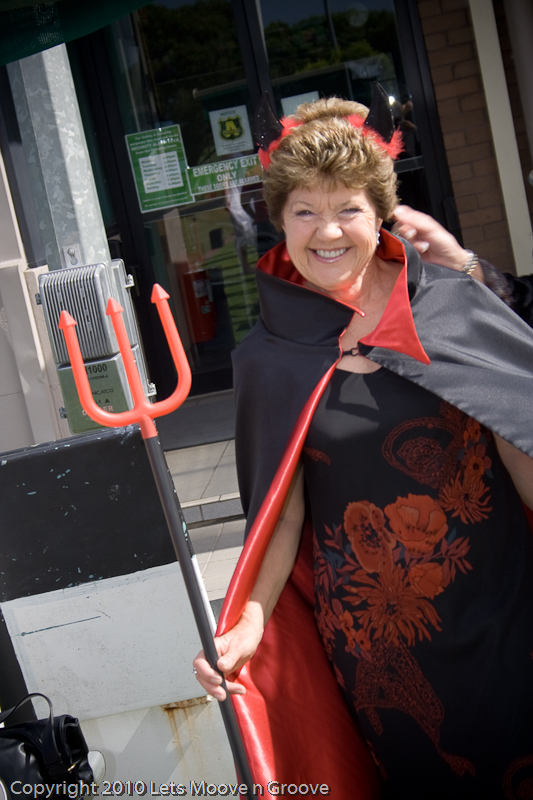 Special mentions to Bernice for putting together the ‘Boogiemen’ as gifts for all that attended and Lyn for helping her get them ready, plus all the decorations that were kindly donated and will be on display at our next Halloween. 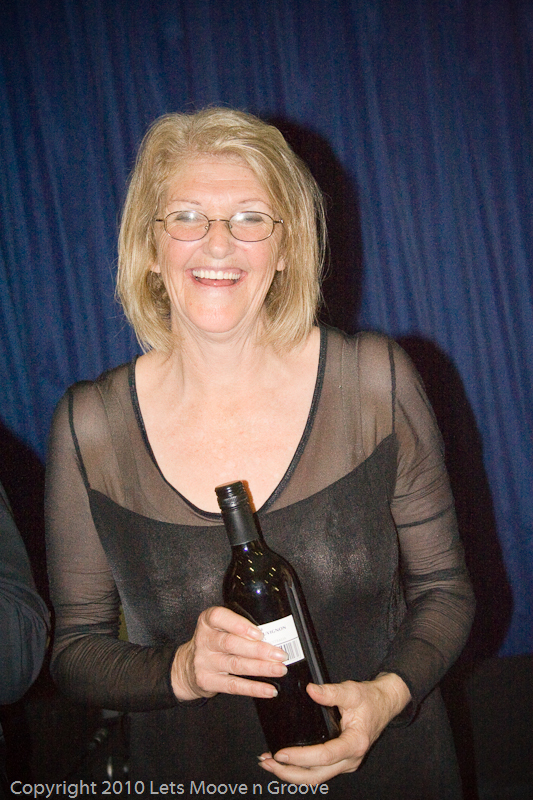 Vesna our cake lady for the amazing and very attractive cake that tasted very yummy and many enjoyed a second helping. 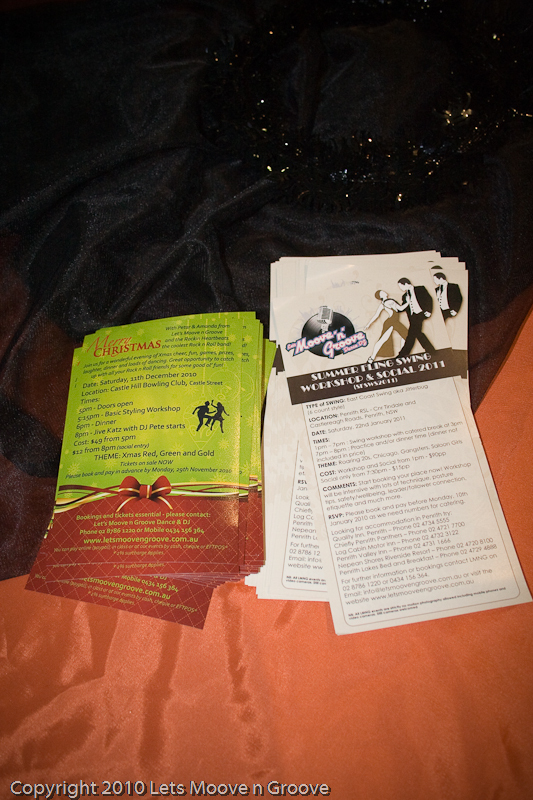 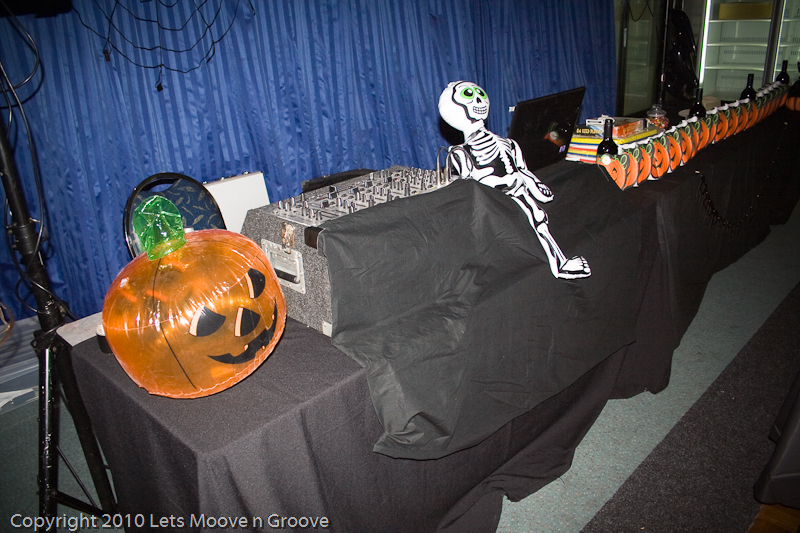 Thank you to DJ Pete for playing some great tracks and especially the sounds of Rocky Horror. 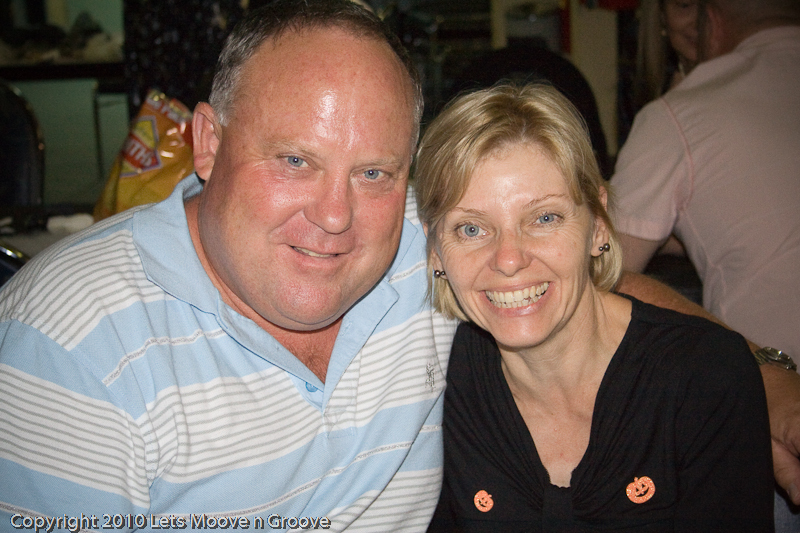 Angela and Steve for all the last minute buys especially the blu tac and AAA batteries. 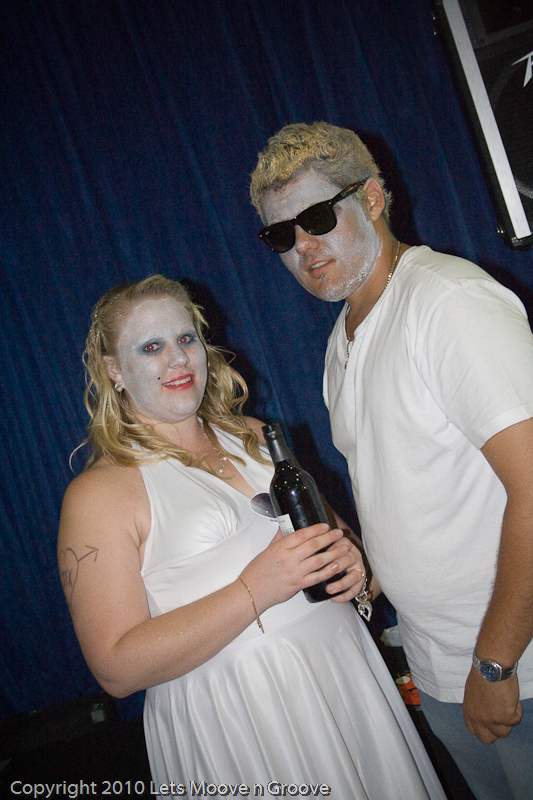 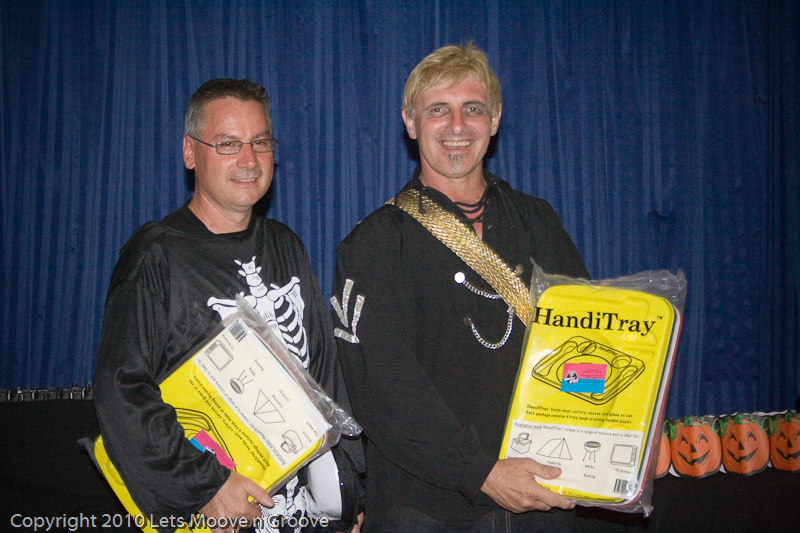 CONGRATULATIONS to all our Red Wine and Handi Tray winners for scariest dressed – there was honestly so many including Rosalyn/Ken, Bernice/David, Lyn, Sid, Linda, Terry and Vlad! 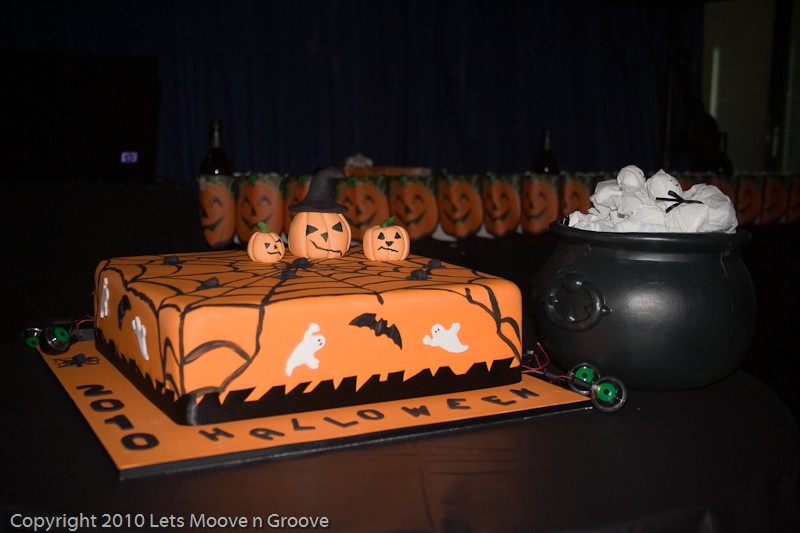 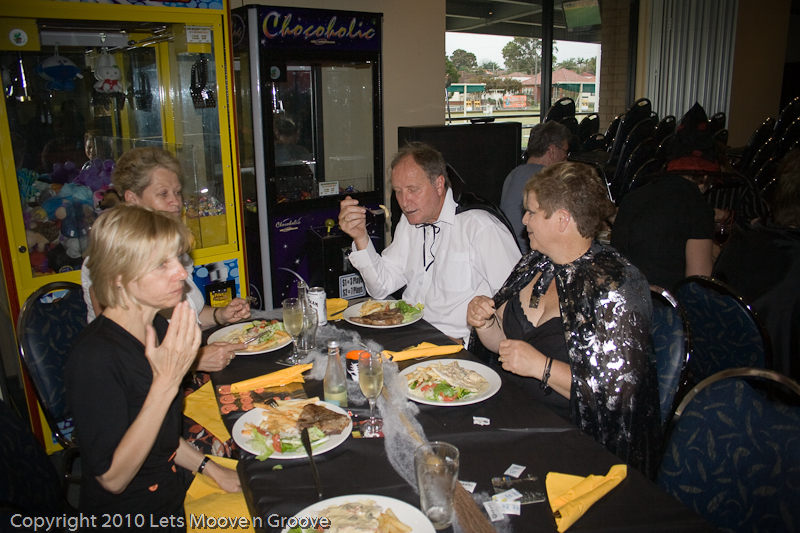 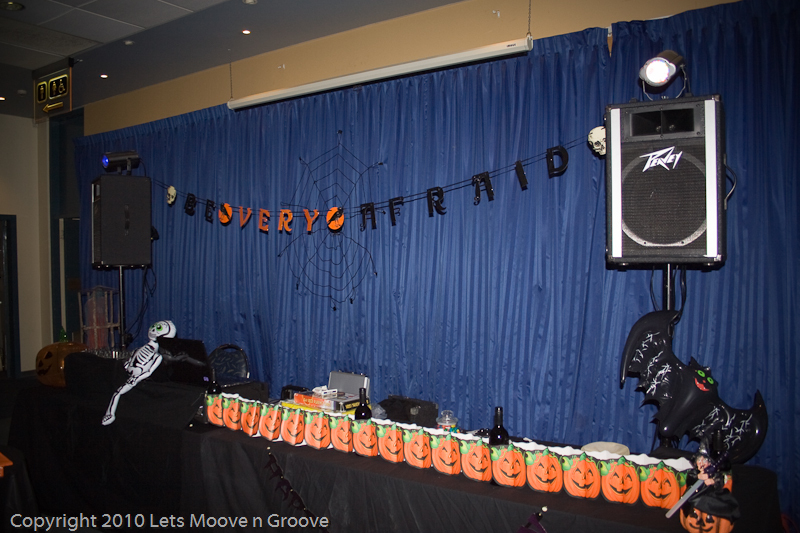 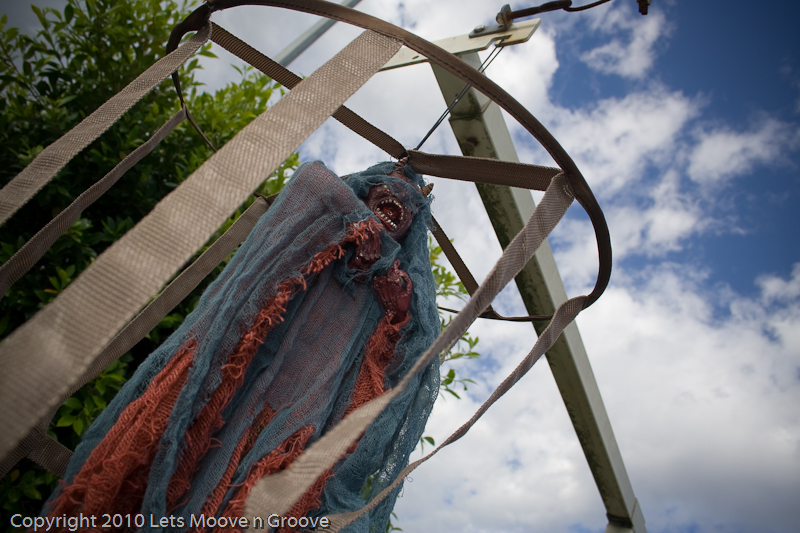 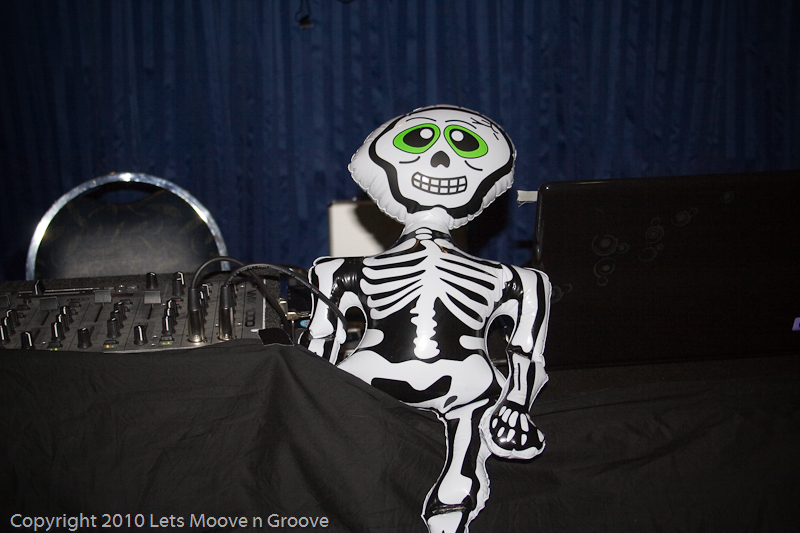 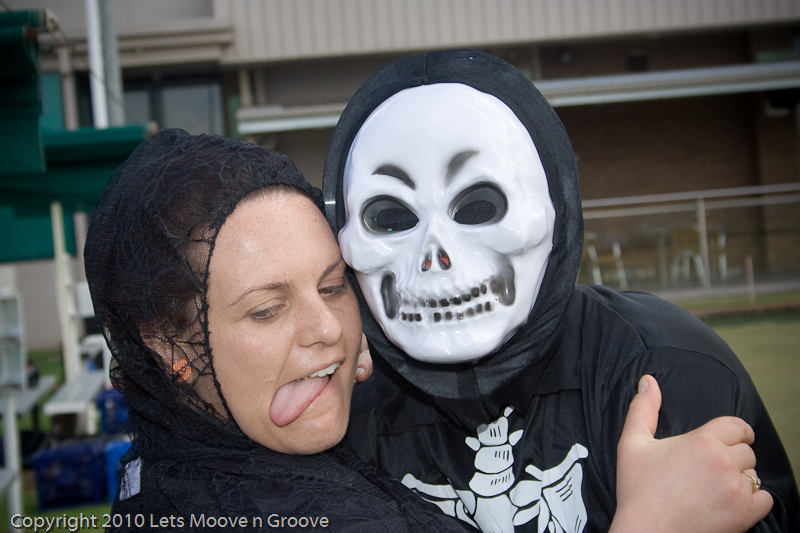 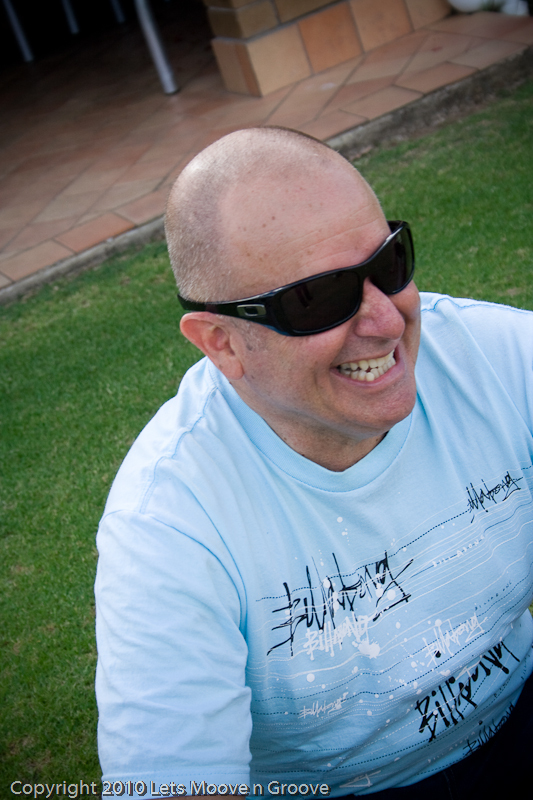 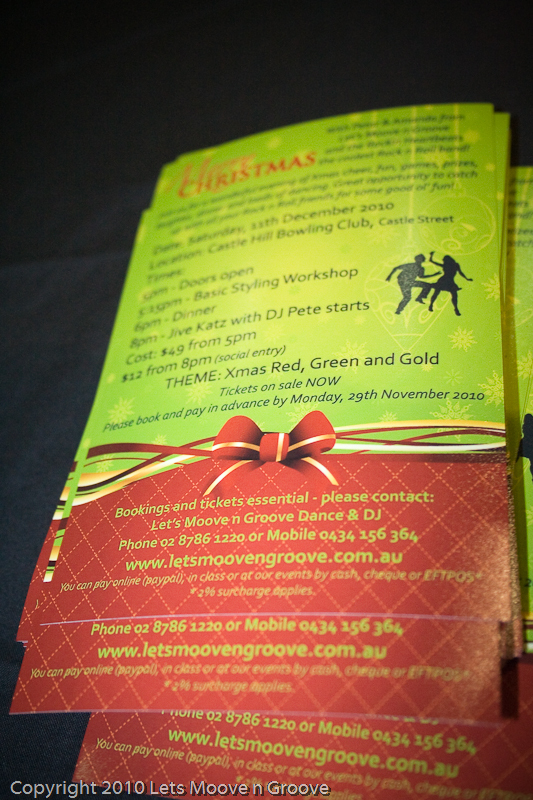 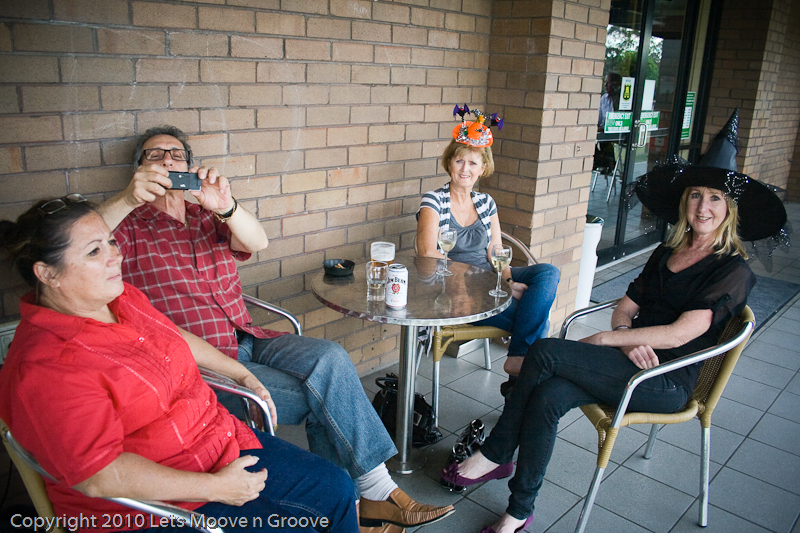 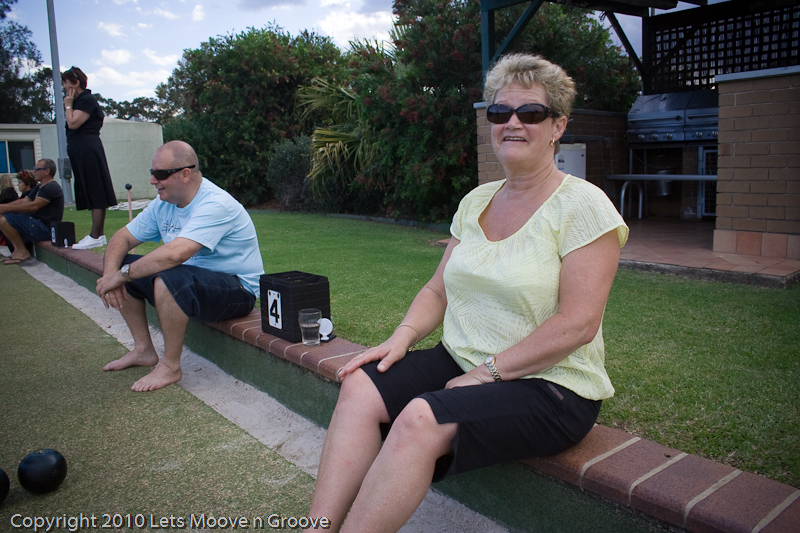 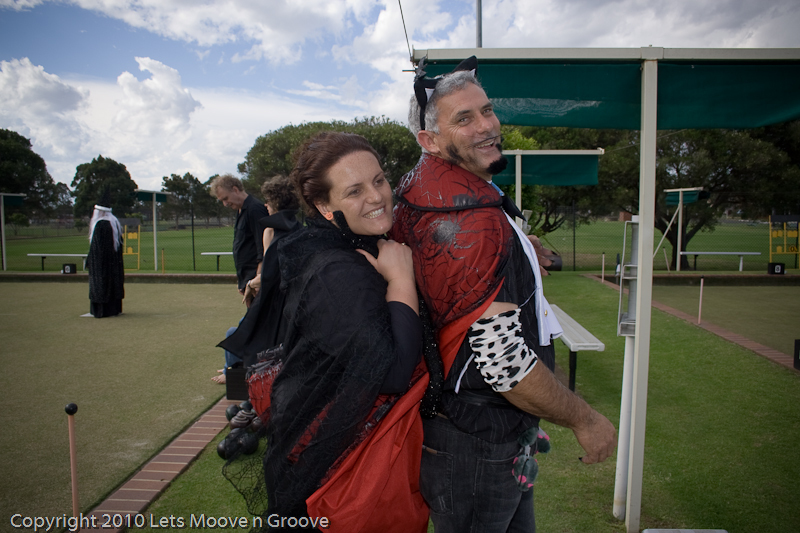 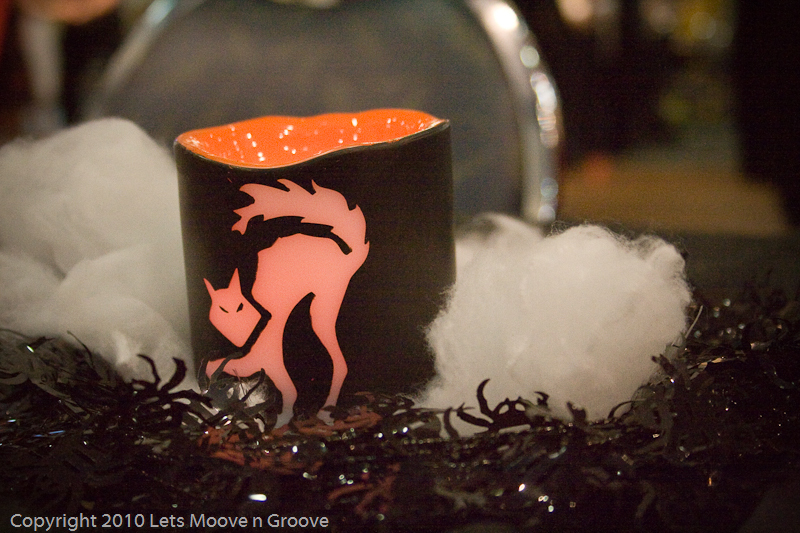 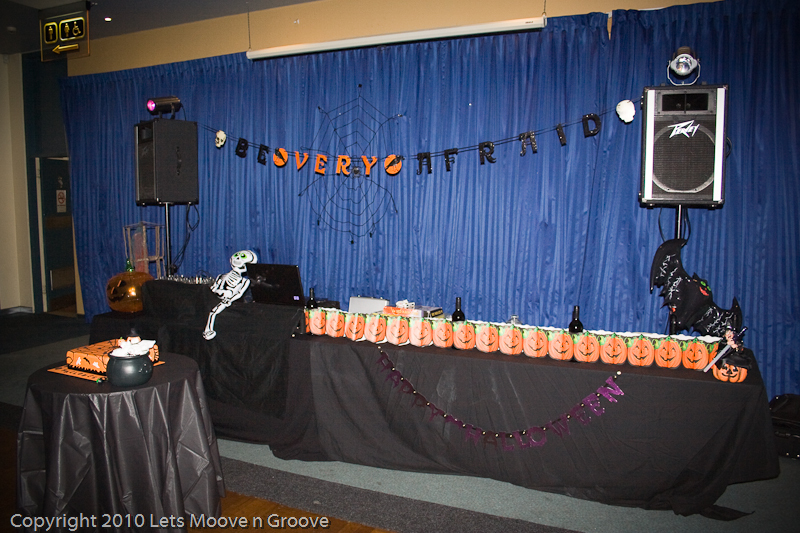 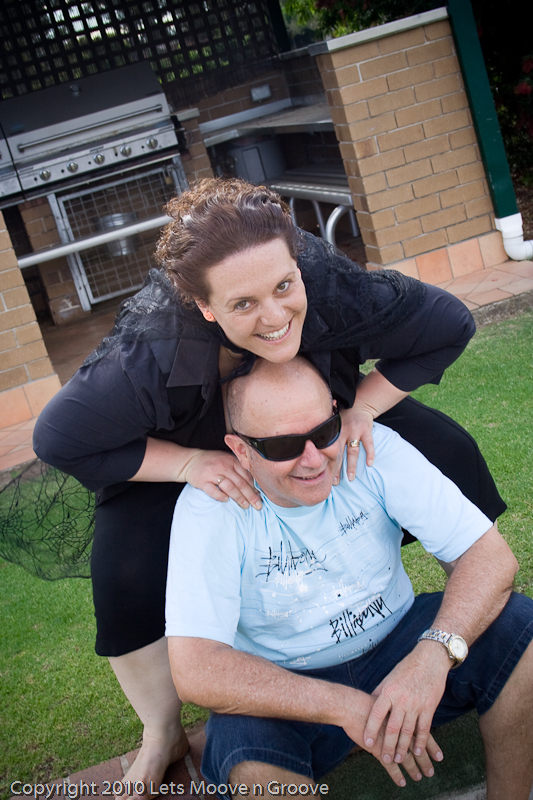 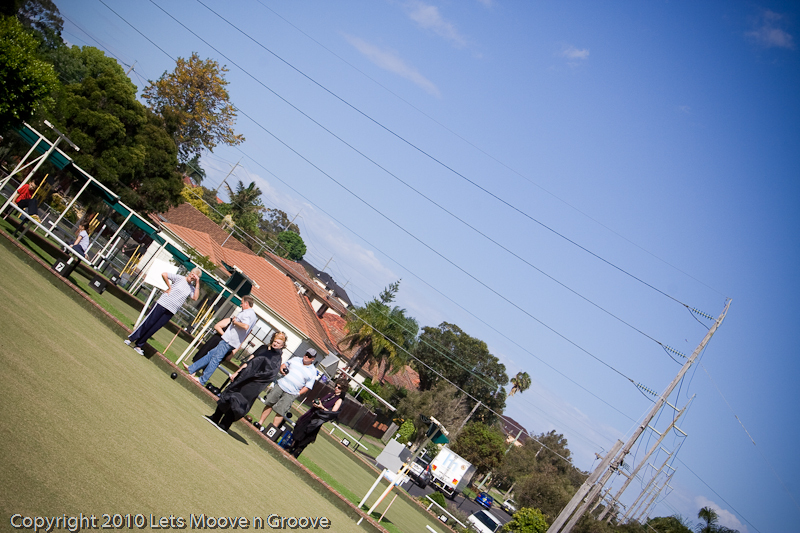 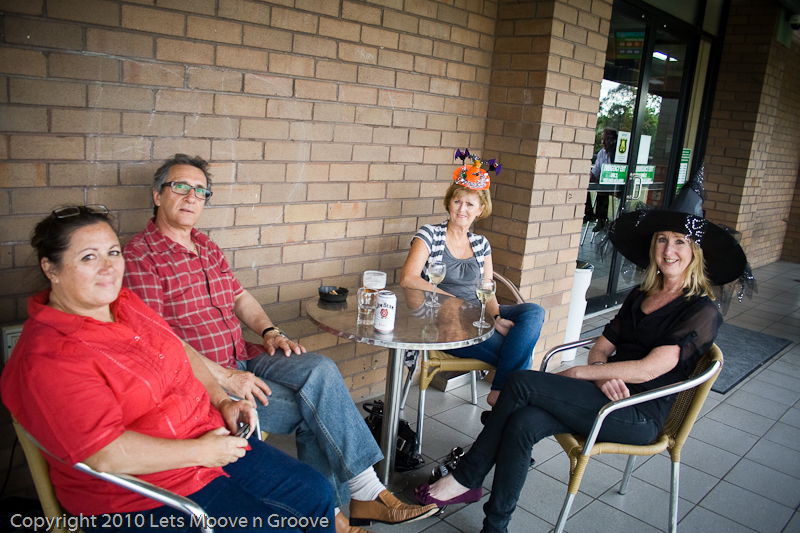 Be sure to check the LMNG website often for new events www.letsmoovengroove.com.au or subscribe to our newsletter.